1 Bedroom Flat For Sale in Yeovil for Guide Price £60,000. This delightful one bedroom flat is offered to the market with no onward chain and would make a fantastic first time buy or investment property. The property has recently been renovated and benefits from a contemporary open plan kitchen with grey fronted units and oak effect worksurfaces, alongside a modern white bathroom suite with elegant shower cubicle, all presented with oak effect laminate flooring. 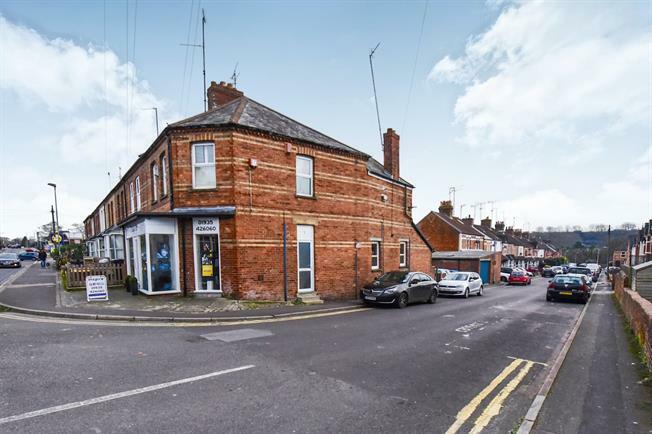 The property benefits from a private access and central position offering easy access to Pen Mill train station and the town centre. Internal viewing is highly recommended. Accessed via glazed entrance door with window to front, elevated work surface with space and plumbing for washing machine under and presented with Laminate oak effect flooring throughout. A contemporary room with a newly fitted kitchen offering a range of grey fronted base mounted units with oak worksurfaces over, incorporating electric four ring hob and oven, one and half bowl stainless steel sink unit with drainer and extractor fan. There is also tiling to splash pone areas, radiator and oak effect laminate flooring throughout, alongside a spacious storage cupboard. With window to front and electric radiator. Fitted with a modern white suite that offers shower cubicle with power shower, low level WC and wash hand basin with storage under and mixer tap. There is full wall tiling and a heated ladder towel rail.